If you are reading this page, probability is you have decided to do baby led weaning when introducing solids to your little one. I wish I had a resource like this when I first started solids with my toddler. And I didn’t do baby led weaning, by the way. I wasn’t even aware it exists, really. 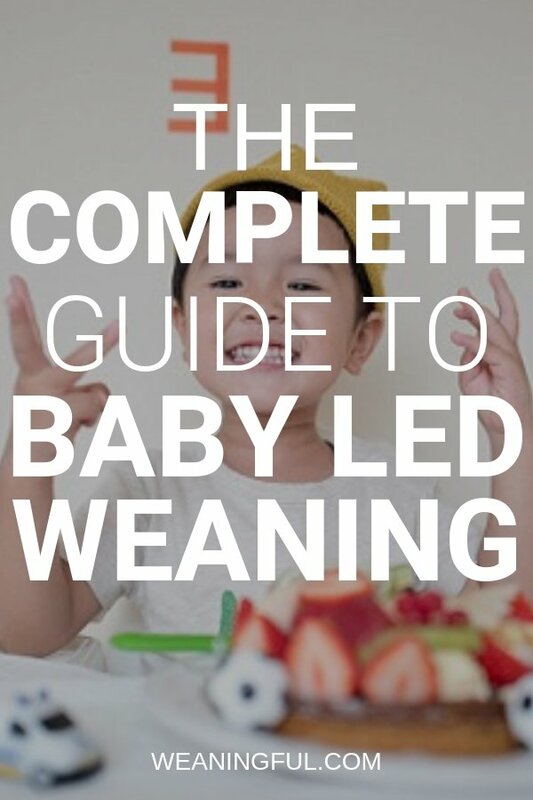 So my aim with this baby led weaning guide is to offer you all the information you need in one place, so that you are armed with everything you need to know to get started. I will update this page as I keep writing more posts that I believe are essential for beginners and not only for them. This post contains affiliate links. This means I get a commission if you purchase through any of the links posted on this page, at no extra cost to you. These are all products I have personally tested and owned, so I can totally vouch for. Thank you. Before you even start solids with your baby, you need to check if baby is ready. My post on the 3 signs baby is ready for solids can help with that. It also lists the often misleading signs that babies can show their parents and the reasons why many start weaning too early. I have also written a post on baby led weaning vs. traditional weaning (or the puree method), which you can read here. One post I would like to mention is the pincer grasp one. This is an important aspect of baby’s development and an essential read for baby led weaning. Now that you know when to start, you need to buy some things to get ready for the journey. They’re not many, but they’re necessary. First, comes the highchair. You need a sturdy one and one that will tick some boxes. Read my post on how to choose the best highchair. Next, there are some things that you need to buy, like plates and bowls for example. I totally recommend the ones from Bamboo Bamboo, as they are long lasting and stick to the highchair like crazy! Not to mention the design is cute. As for cutlery, my first choice was also a bamboo set, however I finally settled for Doddl, as they’re quite ergonomic and my toddler took to them quite quickly. Don’t worry, there’s plenty of time to choose, as you won’t be giving these from the start anyway. Next, you will need a water cup. We had great success with the one from Munchkin, even though we had to search on Youtube to see how it actually works :)). If you want a handy tutorial on how to teach baby to drink water from a cup, I’ve got one just right here. As for bibs, I do not have a particular model to recommend, mainly because we stopped using them at some point. The cloth ones got dirty too fast and the rubber/silicone ones didn’t stay on for too long. These are the main things you need to have ready before you start, but what do you start with? How to start baby led weaning? My massive list post of 125 first foods for babies with no teeth is a great starting point for baby led weaning beginners. There’s so much food your little one can have, but do pay attention to chocking hazards and make sure food is properly cooked and cut for baby’s age and ability to handle food. 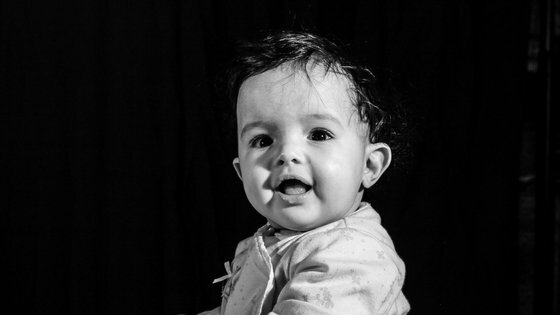 Iron is the number one nutrient that babies need to get more of after the age of 6 months. You can read why that is in this post right here. What you don’t want to start with is baby cereal. I wrote a post on why it is not a good idea and what you can replace it with. Also, be sure to watch out for these 5 foods that shouldn’t be given to baby. When it comes to recipes, feel free to explore the link in the menu, or click here if you don’t want to scroll all the way up. All recipes are great from 6 months and up. But if you want to be on the safe side and serve something that babies usually never say no to, then you absolutely must download my FREE ebook with top first foods. It’s packed with information and recipes, so that you know how to prep and quickly vary the foods that babies enjoy the most. Speaking of books, let’s have a look at what else you can equip yourself with on your weaning journey. 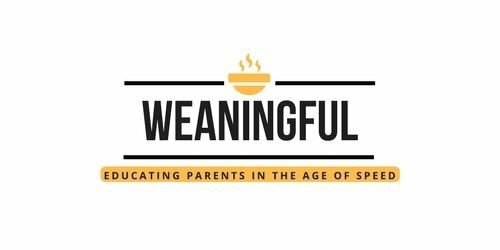 There has been an avalanche of books on the topic of baby led weaning and how to cook various recipes for this approach to weaning. Moms publishing their recipes is a great thing cause it means they are tried and tested. To give you a hand in selecting only the best ones, here are my top three books on this topic. If I were to choose just one book to buy other than the one above, it would be Young Gums. It’s modern, simple cooking, but also one hand cooking which I love, now that I have a newborn and a toddler in the house. This is probably one of the most famous books on the topic. It is written by the lady who invented the term baby led weaning, who is a former health visitor in the UK. So she knows her stuff. I find the recipes are great and easy to follow. And everything I cooked was eaten. Do not judge a book by its cover or size. I found this to be true in the case of this book. It might be thin and the illustrations might not do it justice, but it’s great when it comes to picky eating and getting your child to eat. I am yet to implement all of the tips in there, but so far so good. Now, let’s go back to the kitchen for a bit. Here is the equipment that makes my life easier and helped me along the way. You need a good muffin tin. No question about that (what makes me say that? Download my free ebook above and see what I am talking about). Ramekins. Seriously. Probably the best thing invented after the muffin tin. You can make so many things in them, like puddings, quiches, omlettes, all in a mini form, perfect when just starting out with solids. If you plan on doing a lot of baking (I know I did! ), then you need a kitchen scale. It is essential, because quantities need to be exact. Preferably, buy one that can also weigh liquids. While we’re on the topic of baking, grab a baking tray as well! I recommend a glass one as it is easier to clean. Last but not least, if you’re making dips such as hummus, or spreads like guacamole, you’ll need a good blender. A smoothie maker just won’t do! I recommend one like the below. It makes great ice-cream too (the one ingredient ice-cream recipe is in the Young Gums book above). Now that you’ve seen what’s possible in the kitchen, what happens when things don’t go according to plan? Even though you did everything possible to make the journey smoother for you and your little one, there are moments when he won’t eat. That’s why I have written a post about the top 10 reasons children don’t eat solids. On the other hand, toddlers might go through a phase (or more!) of pickyness around food. Find out what you can do to prevent/treat it. I strongly believe in the idea of simple foods. Simple first foods. So strongly in fact, that I have decided to share my ways with the whole world. If you want to find out my approach to weaning and a bunch of other information regarding baby nutrition, daily recommended intake and portion sizes, check out the link below. 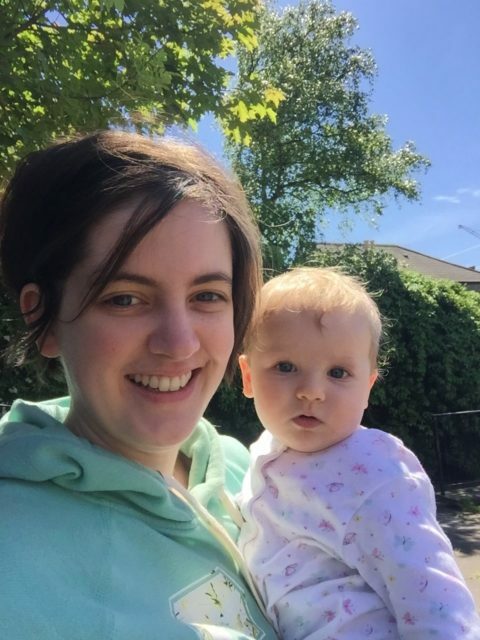 Also, if you’d rather read other moms’ experience with baby led weaning, I have a post written where 10 moms share their journeys with me, with their ups and downs. If their stories inspired you and wish to start a blog just like mine or one of theirs, then feel free to follow my start a baby led weaning blog tutorial on how to do it in less than 15 minutes! Feel free to share this page on Pinterest, save it for later reference or on social media!